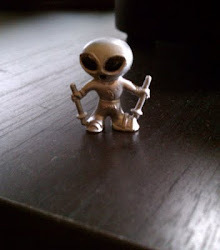 High Strangeness: UFO Media Onslaught! The Mark O'Connell media onslaught has begun! Right after doing a very fun podcast the other night, I'm now gearing up for my very first cable TV appearance as -- wait for it -- as a UFO Expert! Yes, on Friday, July 17th, I will be a guest expert on the Travel Channel hit show "Mysteries at the Monument," talking about Dr. J. Allen Hynek's controversial role in the March, 1966 Dexter-Hillsdale, Michigan "swamp gas" case. Here's hoping I come out of it on the 18th with a bit of dignity intact! My curiosity was piqued, and I was more than happy to help. I asked her what the issue was, and her response kind of threw me: "Is it true," she asked, "that the Michigan 'swamp gas' case is what caused Dr. Hynek to change his mind about UFOs?" Oh boy... Where to start? I had to be honest with her and tell her that, no, it was not true. She took it well, but wanted to know the real story. I told her that while Hynek had, indeed, famously changed his mind about whether UFOs were a real phenomenon worthy of scientific study, there had not been any one incident that caused him to abruptly change his mind. In fact, I told her, Hynek's change of mind was a gradual process that had begun over a decade before the Dexter-Hillsdale case, and took years to complete. The most I thought she could honestly say for her show was that the process of Hynek changing his mind was completed by the "swamp gas" case. Damn you, Hynek, when did you change your mind?? When Dr. Hynek was invited to be a paid consultant on the Air Force's UFO investigation Project Sign in 1948, his only task was to explain away as many sightings as he could as mis-identifications of ordinary astronomical objects. 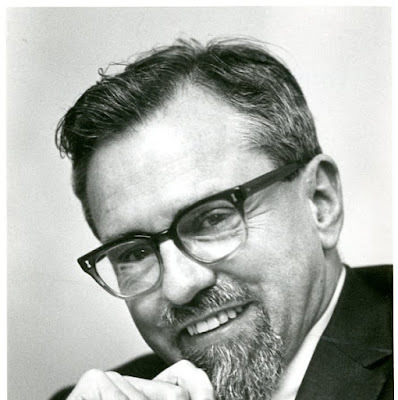 Hynek was very good at the job and he rather enjoyed having the opportunity to be a crusader for "real science" and to help stamp out this silly UFO craze. By the end of Project Sign, 80% of the reported sightings had been handily explained away, and Hynek felt sure that, given enough time and resources, the other 20% could be explained away as well. Hynek went back to academia, satisfied that the UFO controversy had been laid to rest, and the Air Force closed down Project Sign and replaced it with the overtly anti-UFO Project Grudge (Many people think that Hynek worked for Grudge, but this is not true; by the time Hynek filed his final Project Sign report, Sign had given way to Grudge, and so Hynek's report was included in the Project Grudge final report; that's the only connection). A short time later Ruppelt invited Hynek to resume his old job as professional debunker with Project Blue Book, and he accepted. But Hynek was truly shocked to discover that the UFO problem was still going strong, and that 20% of the Air Force's cases remained unexplained. And at that point, we still have 12 years to go before Hynek gets caught up in the Dexter-Hillsdale sightings... Can you see why we talked for almost an hour? Just remember Mark, tv programs are looking for ratings and not necessarily the truth. These same programs will cut up your interview if they are looking for a particular slant to their story. Be forewarned!! A biography of Hynek. UFO expert on the Travel Channel. Successful blog being quoted and linked all over the net. 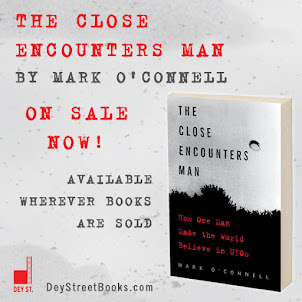 Probably up next - you'll sell out Packer Stadium for a one man Ufological show, which, of course, will be available ppv. Mark - remember us, the wretched little posters here, when you move to Beverly Hills. "Alms for the poor. Alms for the poor." Just be very cautious, the road to hell starts in reality TV. Look at Richard Dolan.